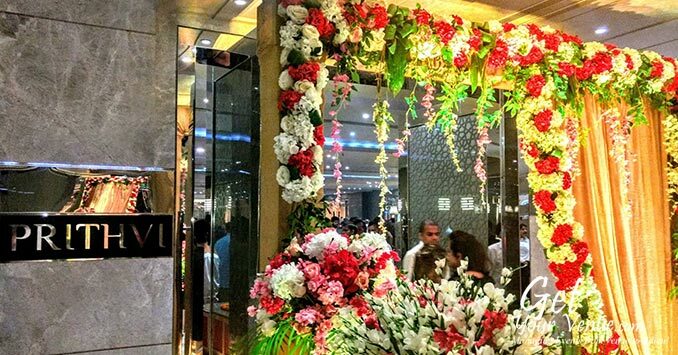 The Jehan offers exquisite decor, catering, parking and entertainment services, along with a licensed in-house bar, making it the best wedding venue in North Delhi. Draped in sheer opulence and charm, it’s visually stimulating property that integrates style, elegance & grace all under one roof. True to its name, the place offers a world of richness & luxury wrapped in modern upscale comforts. 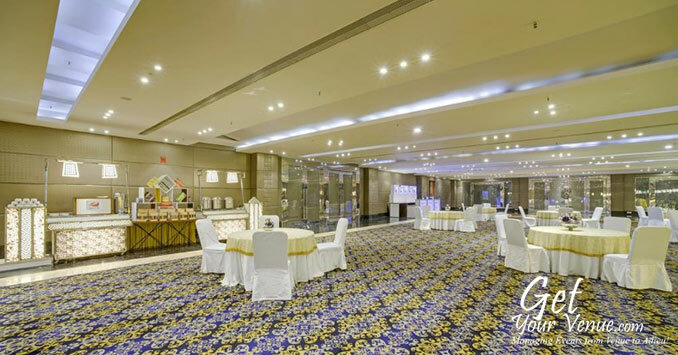 It provides a variety of luxurious banquet areas that are spacious enough to host small ceremonies with gatherings of 100 to large functions with gatherings of 700. 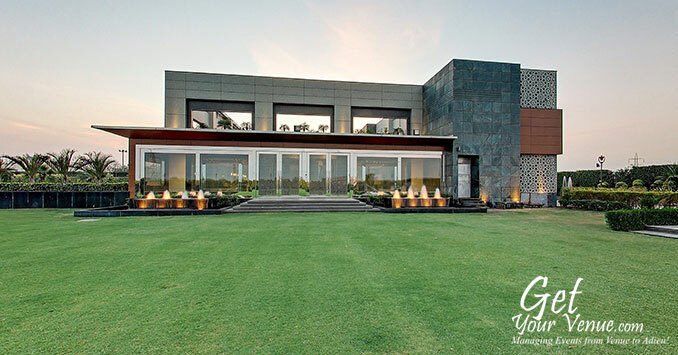 A modern marvel featuring exquisite architecture, it has a cobbled pathway dotted with lush green trees to flowing fountains, block stone, glass facade exteriors & sprawling lawns. 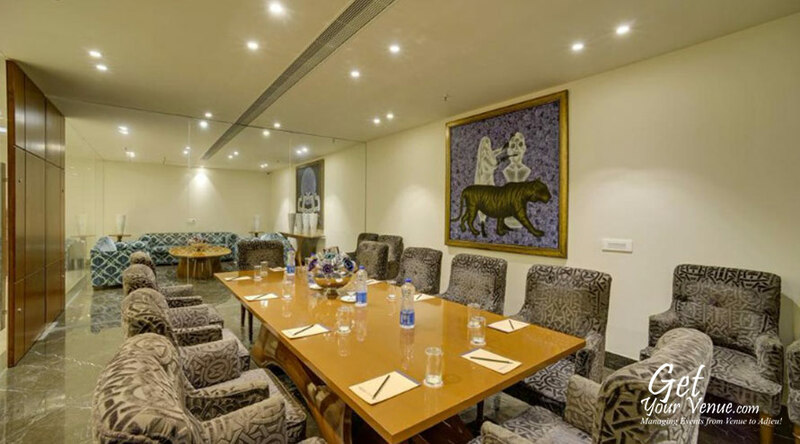 Ideally situated on the GT Karnal Road, the venue is only 10 minutes from Jahangir Puri Metro Station. 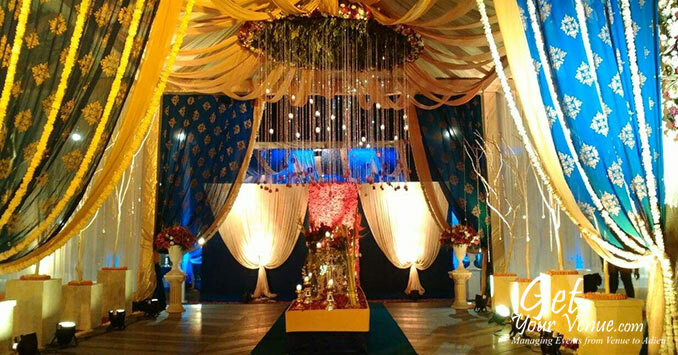 Every wedding is special, and every couple unique for its team of experienced event planners who leave no stone unturned in making your functions memorable. 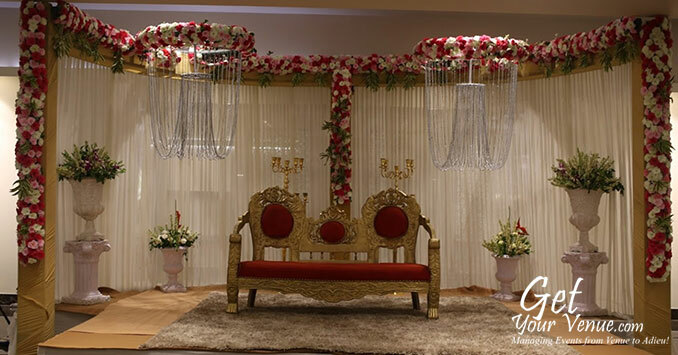 With its three lush green wedding lawns attached with spacious banquet halls that are upholstered in rich Arabic carpet and modern amenities, The Jehan becomes the ideal venue to host all wedding rituals, pre-wedding ceremonies, and post-wedding reception. It beckons you to come & experience tranquility wrapped in beautiful landscapes, warm hospitality & luxury. 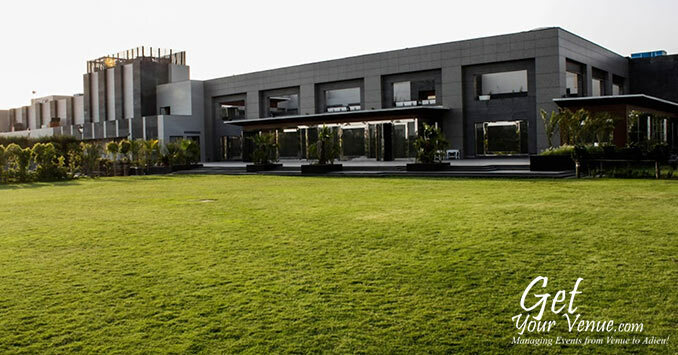 The Jehan is a stunning venue with immaculate lawns, centrally air-conditioned, pillar-less banquet halls, a one-of-a-kind open-to-sky terrace and a multi-cuisine restaurant, capable of adding the perfect zing to your pre-wedding, wedding celebrations, social and corporate events. 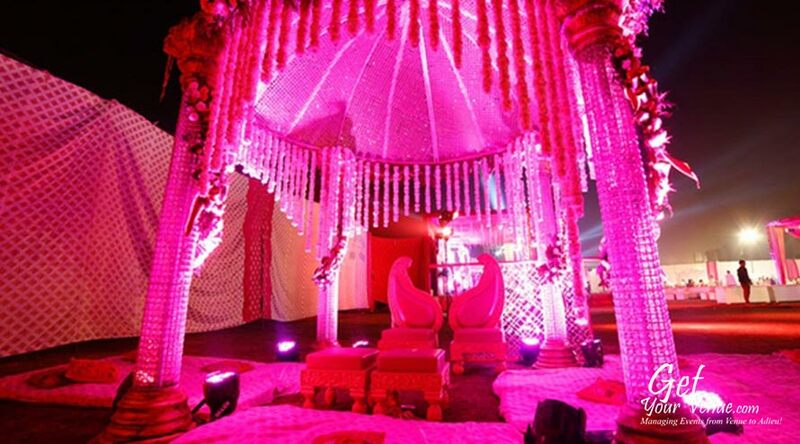 For your big day, it provides a vast variety of wedding lawns and air-conditioned banquet halls in North Delhi. 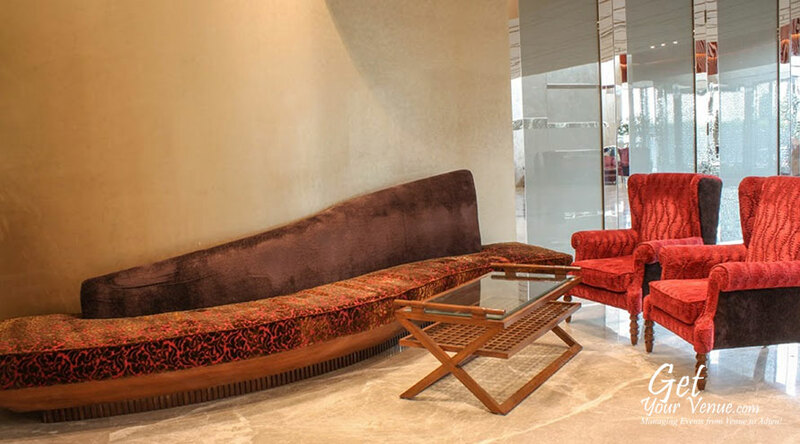 Deriving their name from the five elements (panchtatvas) these venues offer a blend of leading-edge comfort, services, and design. Nira Hall – With an area of 11,000 square feet, Nira (Water) is the largest of the three magnificent halls at The Jehan. 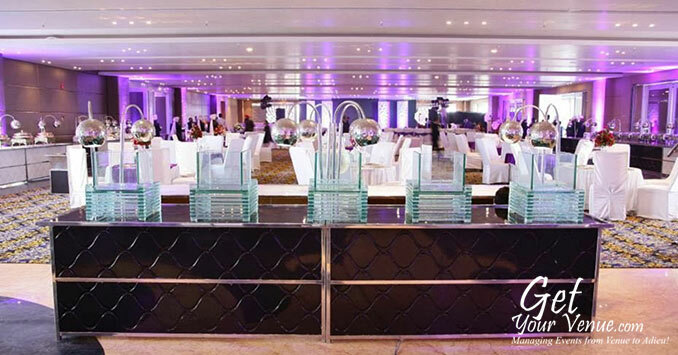 Situated on the lower ground floor, it can accommodate 250 to 450 guests. 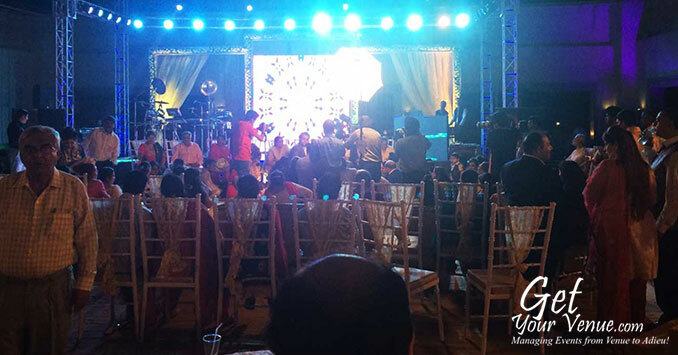 As it is entirely pillar less, it enables the entire space to be used conveniently for your event with uninterrupted service. 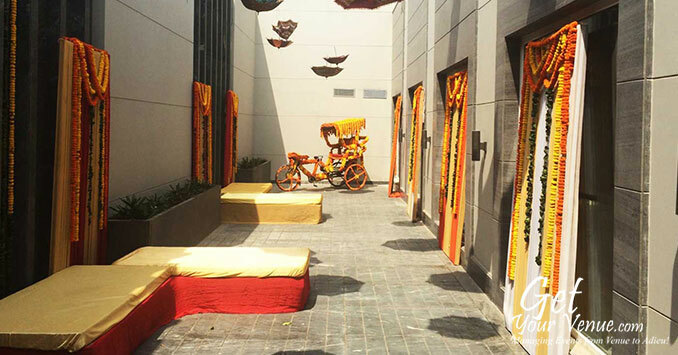 Prithvi Hall - Whether it is your wedding or an engagement, The Jehan’s Prithvi (Earth) hall at the ground level will surely leave you spellbound. 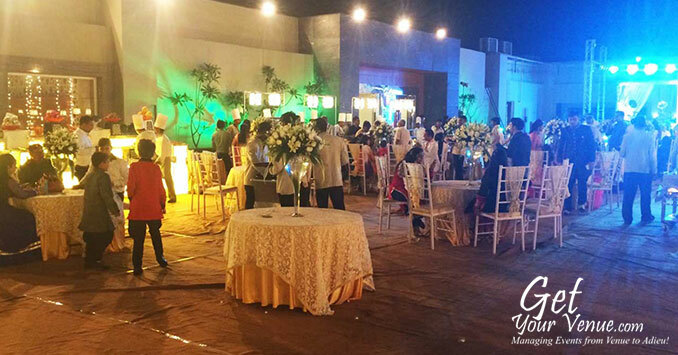 Spread over an area of 10,000 sq feet, it offers an ideal setting for all kinds of social and corporate events. 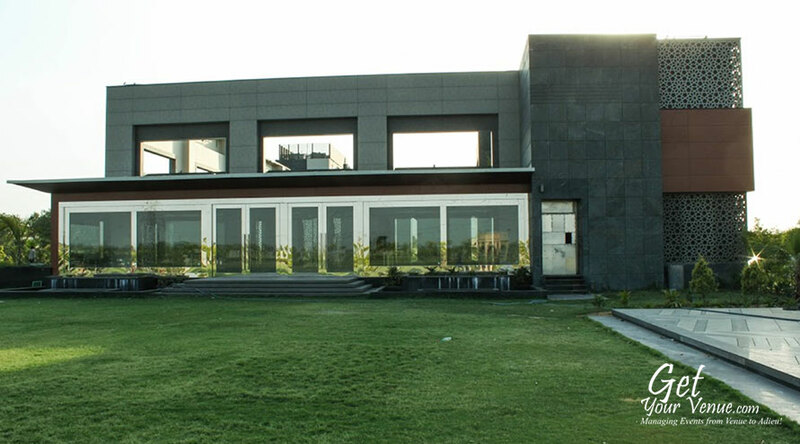 It has a seating capacity of 200 to 450 guests. 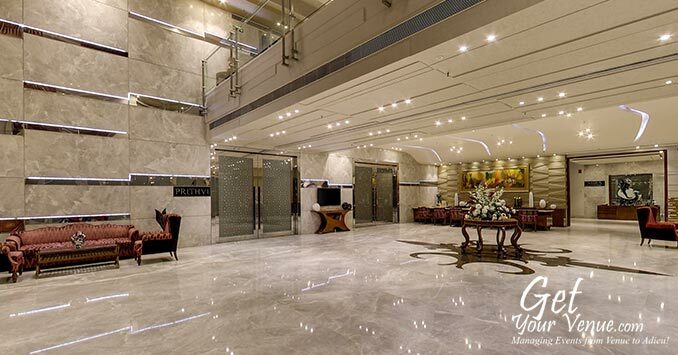 Vahini Hall – The third largest hall, Vahini (River) spreads gracefully over an area of 7,000 sq ft on the ground floor. 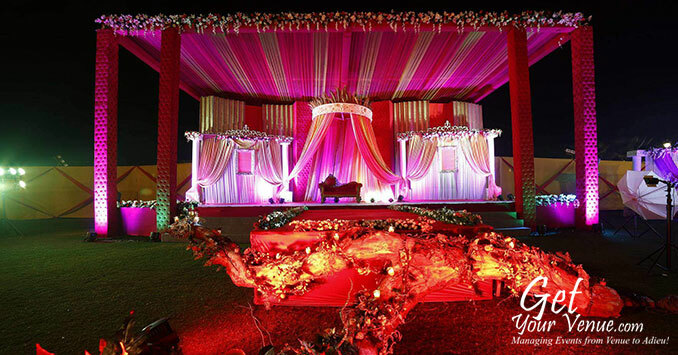 Its stunning architecture makes it the ideal choice for all wedding-related events. It has a seating capacity of 200 to 400 guests. 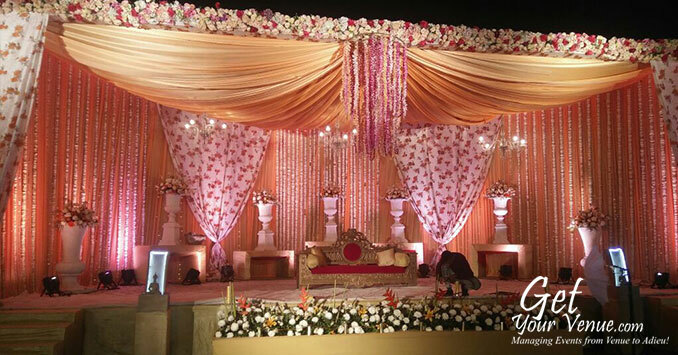 Amber Lawn – Wit area of 76,000 square feet, Amber (sky) garden is one the largest wedding lawns in North Delhi. Apart from a guest capacity of 400 to 700 persons, it has everything you need to make your functions remarkable and memorable. 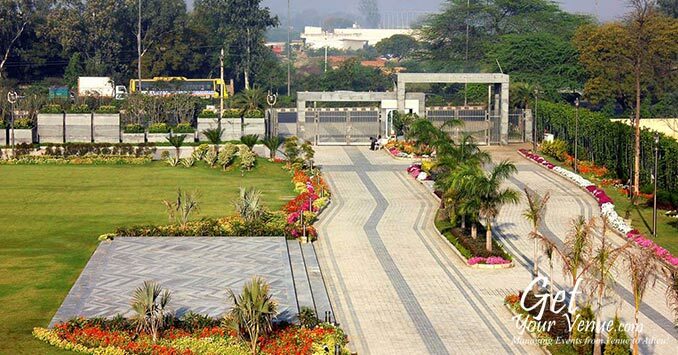 Vayu Lawn – The second largest hall at the Jehan, Vayu (Air) lawn is a magnificent space spread over an area of 56,000 square feet. 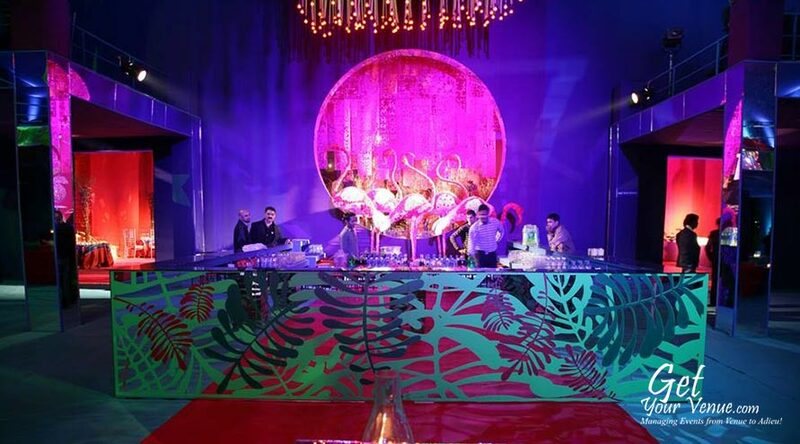 This space can be creatively used for organizing a unique event and customizing it as per your taste and requirements, coupled with world-class catering and hospitality. 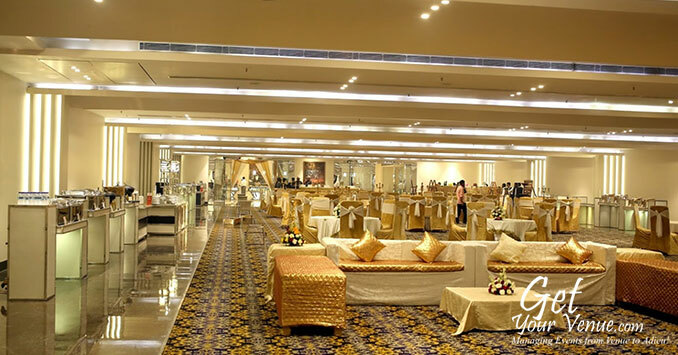 It has a seating capacity of 400 to 600 guests. 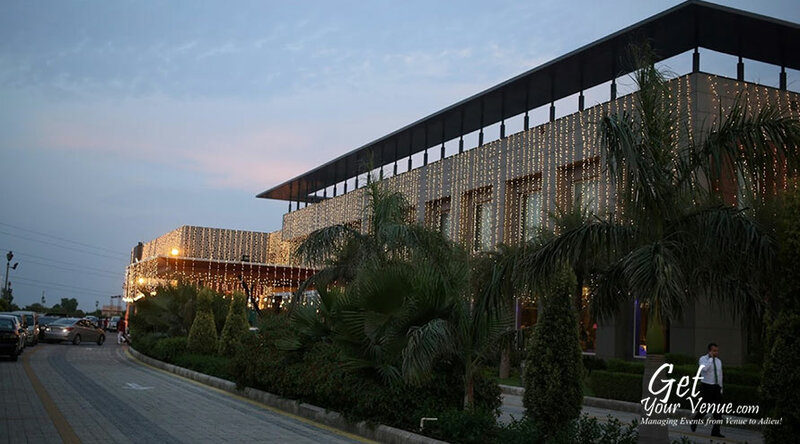 Urja Lawn – The third largest lawn, Urja (energy) spreads over an area of 26,000 square feet making it an exemplary venue for any wedding-related events Here you can invite 250 to 400 guests. 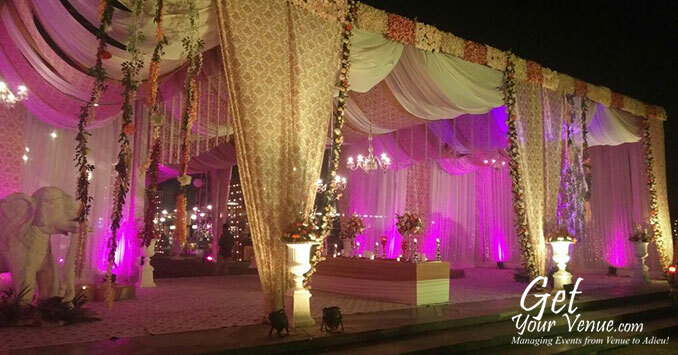 Alfresco – Your dream of taking vows on a romantic rooftop venue will now become a reality with Alfresco. Stretched over an area of 10,000 square feet with lovely garden views on three sides, it’s the ideal place to host all kinds of intimate social events. Here you can invite 100 to 150 guests. To book The Jehan, please dial 8800093444.